We’re here, at the end of another year. 2016 was reportedly ‘one of the worst years ever’ – by December’s end, everyone was depressed by all the Trump, by all the Brexit, by all the everything. It was a year where people from many generations felt their childhoods slip away for ever, felt pieces of themselves die as successful heroes passed out of life and into whatever comes next. 2017 has been no joke either, with more Trump, more Brexit, and more everything seemingly tightening the noose. The Grim Reaper’s scythe has once again swung with abandon, claiming many of the lives who have had a wide spreadh impact on various aspects of culture. Make no mistake – War, Disease, Famine have all claimed the usual millions of souls as they are wont to do, and those are battles we should be working together to overcome, but that is not the purpose of this post. I haven’t been paying much attention to my Shrine posts recently, so I decided to do a yearly wrap up instead of the deaths which affected me in some way, on a personal level. Naturally that means that we’ll mostly be covering famous people here. I don’t mean this to sound as if I’m putting the famous on a pedestal, as if their lives mean more than some random mother or son who may have died this year – I firmly believe that every life is as valuable as the next. Yet here I am. In the end it comes down to who I ‘know’ or recognise. Don’t be annoyed or disheartened if some celebrity who meant a lot to you and who died this year isn’t on the list – as I said, these are the people who meant something to me. By all means, add those who meant something to you in the comments. In the end, this is merely a place for you to give a few words, thoughts, thanks, or memories for those who have fallen. Thanks for giving me, and countless others, many nights of unsettled sleep with The Exorcist. Thank you for being a perminent fixture in some of my most watched and loved entertainment of all time. You may be the only actor who has starred in both one of my favourite movies ever (Robocop), one of my favourite mini-series ever (The Stand), and one of my favourite TV shows ever (Twin Peaks). Thank you for your willingness to ignore and balk at traditional acting conventions by appearing in cult works, low budget films, and Television, along with the more accepted critical fodder – for Alien, for Spaceballs, for The Elephant Man, for Hellboy, and many more. Thanks for being the original Apollo in Battlestar Gallactica – I’m not as familiar with your other work, but for that I’ll always remember you. Thanks for being a true movie legend and for appearing in many of my personal favourite films – The Terminator, Aliens, Near Dark, Commando, Tombstone, True Lies, Frailty, and bringing a truly unique energy and life to them. One of the forefathers or modern blues, rock, and by extension, metal, thanks for bringing many decades of wonderful music to the world. Thanks for bringing me many laughs in my younger days, especially in the Bond movies, and also for sterling work in a few of my other favourites. One of the few filmmakers to make a critically respected and award winning horror movie in The Silence Of The Lambs, thanks for breaking those boundaries. Even though he had been acting regularly since the late 50s, Parks became better known in later decades thanks to his work with Kevin Smith and Quentin Tarantino – thanks for many terrific performances in many terrific films. A character actor with great action pedigree, thanks for appearing in some of my favourites such as Tombstone, Extreme Prejudice, Sin City. Although Soundgarden were my fourth favourite out of Nirvana, Alice In Chains, Pearl Jam and Soundgarden, Cornell was nevertheless a driving force in rock and grunge with unmistakable vocals which have been a part of my life for almost as long as I can remember. My dad rides motorbikes. My brother rides a motorbike. Many of my uncles and cousins are bikers. I have dabbled. I live on the same street as the family of my countries most famous motorcyclists and our kids are friends. We all watch motorcycling – none of that F1 shite. Any time any biker dies it’s a tragedy, and Nicky was a particularly heavy loss. I was a Bond fan before I really understood what films were, and Moore was my era. It is typically the Moore films I return to most for their lighter approach and tendency towards action and humour. Moore will always be Bond for me, and while he didn’t have the most varied career outside of that role, he still popped up in many other films and shows and was renowned for being a decent human being. The original Batman… well I’ve heard varying reports on what he was like in real life, but I’m mainly here to focus on their work and what it meant to me – I was never a huge fan of the original campy series, but I still watched it every now and then when I was young. Thanks for being a mainstay on TV and for your great voice work on many shows. Thanks for making some of my favourite films in the Rocky and Karate Kid series as well as a few other notable movies. Thanks for appearing in some of my favourite movies and shows ever, from North By Northwest and The Twilight Zone to Ed Wood and The X Files, and of course for bringing your daughter Juliet into the world. There have been fewer bigger influences on my love of horror, and on the wider horror world than George A Romero, the man who essentially invented the modern zombie genre – thanks for that, thanks for your movies, and thanks for never compromising for The Man. Sean, aside from Coronation Street I don’t think I ever saw any of your non- Buzzcocks work. I’m not a huge stand-up comedy fan, but you always made me laugh on Buzzcocks. Feel free to leave your thoughts and memories of any people we lost in 2017 in the comments below. There are few more illustrious stars in the history of Cinema than Audrey Hepburn, an actress known around the world for her talent and grace as much as for her charitable work. Involved with the Dutch Resistance during WWII when The Netherlands was occupied, the violence and evils she saw had a profound impact on her life and led her on a humanitarian path. Using her ballet training she picked up dancing credits in The West End after the year, which eventually led to minor roles in British films, though it wasn’t long before she won larger roles in Britain, Broadway, and finally Hollywood. Hepburn is one of a select few people who have won an Emmy, Grammy, Bafta, Oscar, and Tony awards as well as picking up multiple further nominations, and until her death she continued to perform sporadically and gain critical acclaim, while also spending time on the charities and causes she held dear. Feel free to share your thoughts and memories of Audrey Hepburn in the comments section below. Like any child of the 80s or 90s, John Candy was a big part of growing up and someone who always managed to make me laugh and leave a mark on movies. He was one of those performers who manages to make us question if he actually is dead – it still seems strange to me that he has been gone for so long given that his work still seems so fresh and timeless. Starting out on TV and movies in the early 70s, it wasn’t until his work with Canada’s Second City TV group, featuring a host of future stars, that he gained recognition. From there he went on to star in a host of shows and movies that defined comedy in the 70s and 80s before his untimely death, as well as appearing in several dramatic roles. Whether it be part of an ensemble in Stripes, The Blues Brothers, Spaceballs, or a leading role in Uncle Buck, Planes, Trains, And Automobiles, or Armed And Dangerous, Candy always had a wink and a smile, and an immense talent. It’s easy to say that Nance had a tragic life and had much more to give, but in his 53 years he appeared in many successful and groundbreaking TV shows and movies, his performances never less than memorable, and he crafted a number of iconic, cult characters. 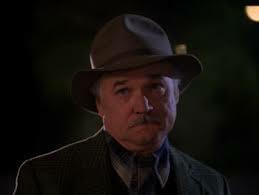 As a big Twin Peaks fan, Nance made an impression as Pete Martell, one of the few true good guys in the series, but he will also be remembered for his roles in Eraserhead, Blue Velvet, and Colors. Feel free to leave your thoughts and memories of Nance in the comments. 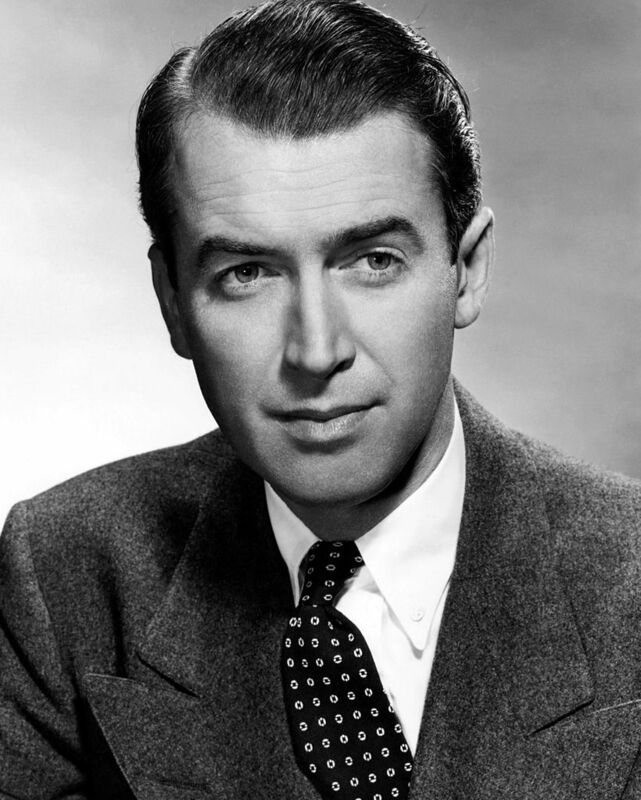 One of the most beloved actors of all time, Jimmy Stewart starred in some of the most popular movies of the 20th Century and many which continue to be re-watched and discovered today. Known for his gentle, calm demeanour which made him an icon in the eyes of friends, family, and fellow performers, he also had an incredible military career spanning almost thirty years and seeing him involved in both WWII, Korea, and Vietnam. The recipient of multiple military medals, he rose to the rank of Brigadier General while maintaining a Hollywood career which saw him earn an Oscar win and multiple nominations, as well as a Lifetime Achievement award. An acting pioneer which saw the likes of Marlon Brando imitating his style, his performances spanned seven decades and covered voice work, thrillers, comedies, dramas, and his own TV show. He is fondly remembered for films including Vertigo, It’s A Wonderful Life, The Philadelphia Story, Mr Smith Goes To Washington, and How The West Was Won. One assumes it was an honour to have known and/or worked with him, and one hopes that Hollywood can produce a few more like him in the future. Feel free to leave your thoughts and memories of Stewart in the comments section. 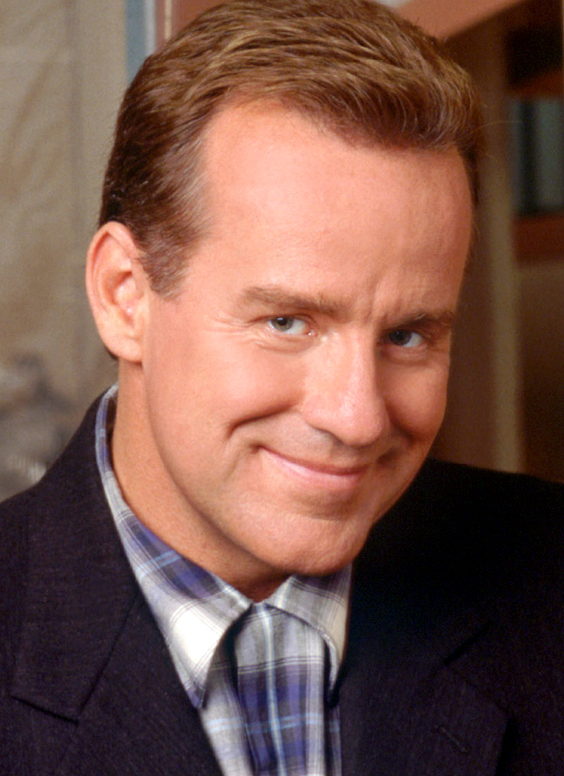 Phil Hartman is remembered by many as the voice of many, having spent decades entertaining audiences through his biting, accurate impersonations and his recognizable voice acting work in countless hit movies and series. Hartman had a long and varied career, starting out by designing album artwork in the seventies before becoming a performing comedian and writer, and eventually creating the character Pee Wee Herman (alongside Paul Reubens). For years Hartman was an integral part of Saturday Night Live where he wrote scripts, improvised scenes, and unleashed a torrent of impressions which saw him land a recurring spot on The Simpsons – you may remember him from characters such as Lionel Hutz, Troy McClure, and that guy in the background who said something funny that one time. Hartman’s legacy lives on, as re-runs of the many shows he worked on continue to delight new fans, and as comedians and actors around the world look to his work for guidance, inspiration, and laughs. Feel free to share your thoughts and memories of Hartman below. 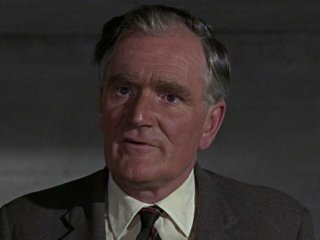 Desmond Llewelyn had an extraordinary life, deserving of any biopic or biography – born in a Welsh Mining family and eventually breaking into acting before joining the Army during WWII where he was captured and held as a POW for five years. Most will know him for his iconic performances as Q in the James Bond series, appearing in 17 films in the series from 1963 to 1999. Outside of his work as Q, Llewelyn appeared in Chitty Chitty Bang Bang, The Lavender Hill Mob, and Follyfoot. All Bond fans love Llewelyn for his memorable performances and recognise him as an integral part of the series history and importance, and his passing has left a hole which may never be filled. Feel free to share your thoughts and memories of Llewelyn in the comments section below. Last year Twin Peaks fans rejoiced when, after 25 years, it was announced that the show would be coming back for a new series featuring the same cast, writers, directors from the original show. 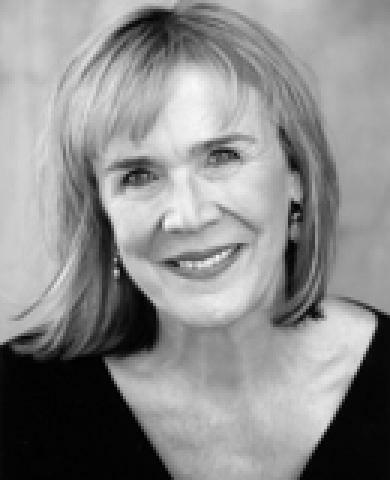 Catherine Coulson was one of those confirmed to be returning, her character The Log Lady one of the most beloved and enigmatic on the show. This week however, Coulson passed away after a battle with Cancer. Coulson had been a mainstay in the works of David Lynch, starting out assisting in Eraserhead and marrying it’s star Jack Nance. Coulson appeared in stage work with her local Shakespeare Company and although her screen resume is small, it certainly had an impact on me and millions of others. Feel free to leave your thoughts and memories of Coulson in the comments below. Sir Alec is remembered most widely today for his iconic performance as the wise old Jedi Obi Wan Kenobi. However, Guinness had a career reaching much farther back than his 1977 appearance, appearing in many of the classic Ealing comedies, on stage, and on both the big and small screen earning multiple Academy Award and Bafta wins and nominations. He is the winner of a Lifetime Achievement Oscar, was nominated for a Best Screenplay Oscar, and picked up his Knighthood in the 1950s. 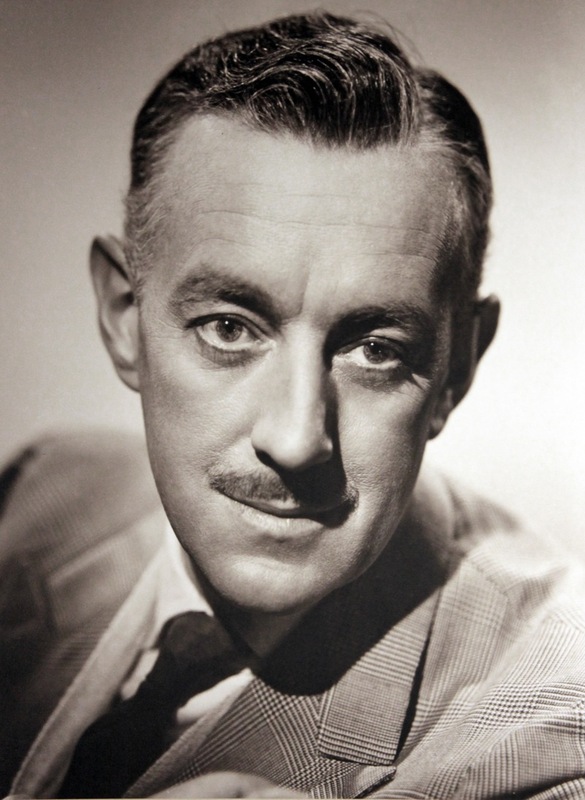 Also serving in WWII in the Royal Navy, Guinness remains one of the most successful British Actors of all time, with a resume which includes many classics – The Lavender Hill Mob, The Bridge Over The River Kwai, The Ladykillers, Dr Zhivago, Lawrence Of Arabia, and many others. Feel free to share you comments and memories of Sir Alec Guinness below.